Mary Wollstonecraft Shelley. Shelley, Mary Wollstonecraft, illustration. Source unknown. British author Mary Wollstonecraft Shelley was a skilled editor and critic, an influential travel writer, a literary historian, and a dabbler in verse as well as short stories. By the age of nineteen, Shelley had created the greatest and what many believe to be the first science fiction novel in history: Frankenstein; or, The Modern Prometheus (1818). This one novel has risen above the gothic and horror genres to gain recognition as a work of psychological and philosophical depth. Although she wrote several other novels, along with respected nonfiction pieces, Shelley’s legacy lives on through Frankenstein. Unhappy Childhood. Born in London on August 30, 1797, Shelley was the daughter of two great intellectual rebels of the 1790s: Mary Wollstonecraft, an early feminist who wrote the renowned Vindication of the Rights of Women (1792), and William Godwin, a novelist and political philosopher. Ten days after Shelley was born, her mother died from complications related to her birth, leaving Godwin to care for Shelley and Fanny Imlay, Wollstonecraft’s three-year old-daughter from a previous relationship. Although her father was not particularly affectionate or attentive, Shelley did not grow up alone. After Godwin remarried in 1801, Mary gained more siblings. Her stepmother, Mary Jane Clairmont, favored her own two children and the son she and Godwin shared over Wollstonecraft’s daughters. Mary’s childhood was not happy. At one point, she was sent to live with family friends in Scotland for two years, probably because of conflict between her and her stepmother. Although Shelley received no formal education—which was somewhat common for British girls at this time—she found consolation in intellectual pursuits, especially books. Married Percy Bysshe Shelley. Shelley’s father hosted many of the prominent intellectuals and writers of the day, including poets Samuel Taylor Coleridge and Percy Bysshe Shelley. Percy met Mary when she was fourteen. However, they were not romantically interested in one another until two years later. At this time, Percy Shelley was married, his wife pregnant with their second child. Nevertheless, he and Shelley felt that matters of the heart were more significant than legal ties, and the couple ran away together in July 1814, a month before Shelley’s seventeenth birthday. Love and Loss. The couple spent the subsequent years traveling in Switzerland, Germany, and Italy even though Percy Shelley’s father, a wealthy baronet, discontinued his son’s substantial allowance after Percy Shelley abandoned his family. (Until 1858, a divorce could only be obtained by an act of Parliament, an expensive and formidable task.) These years were marked by personal tragedy as well. Their first child died eleven days after she was born, and Fanny, Shelley’s half-sister, and Harriet, Percy’s wife, both committed suicide in 1816. Ghost Stories. The couple spent most of the summer of 1816 in Geneva, Switzerland, with Lord Byron, a poet, and John Polidori, a writer and physician. That year was an auspicious one; because of the weather, 1816 became known as ‘‘the year without a summer.’’ Probably because of the effects of several major volcanic eruptions that caused an extreme buildup of atmospheric dust, there was essentially no extended summer that year in much of the northern United States, parts of Canada, and northern Europe as well as other parts of the world. Temperatures shifted between typical summer warmth and near freezing within short amounts of time. Because of the atypical summer, most crops were lost and the areas hardest hit suffered from food shortages. In Switzerland, for example, there was widespread famine that led to food riots and the government’s declaring a national emergency. During a June snowstorm in Geneva, the group read aloud a collection of German ghost stories that inspired Byron to challenge the others to write their own ghost stories. While Percy Shelley wrote an inconsequential story, Byron wrote a fragment of a story, and Polidori began ‘‘The Vampyre’’ (1819), what some view as the first modern vampire tale. Shelley, inspired by a vivid nightmare, began writing Frankenstein. Married Life. In part because they sought custody of Percy Shelley’s two children, Percy and Mary married in London in December 1816. Still, custody was denied. After two more of the couple’s own children died before the age of three, Mary Shelley fell into a deep depression until the 1819 birth of their only surviving child, a son, Percy Florence. 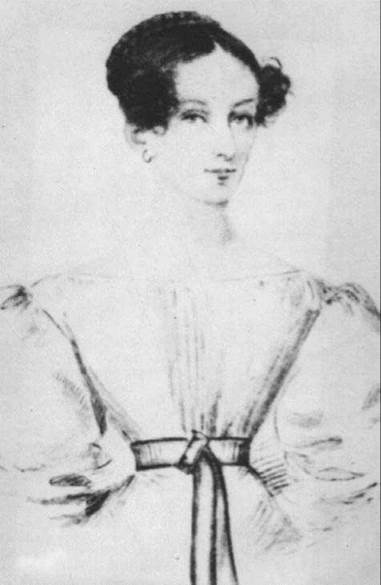 Despite marital problems caused by Shelley’s depression and her husband’s involvement with other women, including his sister-in-law Claire Clairmont, both Shelleys were prolific writers and were dedicated to their studies of European literature and Greek, Latin, and Italian language, art, and music. Intelligent and remarkably gifted, Shelley completed Frankenstein; or, The Modern Prometheus at the age of nineteen. Percy Shelley’s Death. The Shelleys settled near Lenci, Italy, on the Gulf of Spezzia. Sailing to meet fellow poet Leigh Hunt in 1822, Percy Shelley drowned during a storm. Grief-stricken, Shelley remained in Italy for a year and then returned permanently to England with her son, where she struggled to support the two of them. When Percy Shelley’s father offered her a small stipend on the condition that she keep the Shelley name out of print, she published her works anonymously. Besides writing four novels in the years after Percy’s death, she contributed a series of biographical and critical essays to Chamber’s Cabinet Cyclopedia, in addition to submitting occasional short stories—pieces she considered hackwork—to literary journals. As Shelley’s son got older, her father-in-law increased the boy’s allowance, providing the resources for mother and son to journey to Italy and Germany, travels Shelley describes in Rambles in Germany and Italy in 1840, 1842, and 1843 (1844). She spent the last years of her life focused on editing her late husband’s work and writing his biography. In 1848, Shelley began showing symptoms of the brain tumor that would eventually kill her, and by the time of her death in London on February 1, 1851, she was almost completely paralyzed. She died without completing Percy’s biography, which had become her most treasured project. Washington Irving (1783-1859): American writer Irving wrote ''Rip Van Winkle'' (1819). Based on a Germanic folk tale, this short story is an Americanized version that has been a popular favorite since its publication. Stendhal (1783-1842): An advocate of French liberalism, author Stendhal (the pen name of Henri-Marie Beyle) believed that man, basically reasonable, requires a society where talent can be expressed in whatever intellectual, political, or economic manner deemed appropriate by the individual. His works include The Red and the Black (1830). Jane Austen (1775-1817): British novelist Austen captured the constraints of society with such works as Pride and Prejudice (1813), in which human relationships are determined by wealth and class. James Fenimore Cooper (1789-1851): American novelist Cooper wrote the internationally best-selling novel The Spy (1821) as well as his Leatherstocking tales (including The Last of the Mohicans ) that feature the character Natty Bumpo. John Stuart Mill (1806-1873): English utilitarian philosopher Mill wrote the essay, On Liberty (1859), considered one of the most important statements on individual freedom in the history of Western democracy. King Ferdinand VII (1784-1833): During the Napoleonic Wars, this Spanish king was imprisoned in France by Napoleon for almost seven years after being forced to abdicate his throne in 1808. Ferdinand returned to the Spanish throne in 1813 and ruled Spain during the tumultuous loss of its empire. Robinson Crusoe (1719), a novel by Daniel Defoe. Shipwrecked off the coast of Trinidad, Crusoe develops the survival skills necessary for living alone on an island. I Am Legend (2007), a film directed by Francis Lawrence. Robert Neville, a military scientist who thinks he may be the lone survivor after a man-made virus infects the world, works to discover a cure while living in a city inhabited by bloodthirsty victims of the virus. A Gift upon the Shore (2000), a novel by M. K. Wren. Surrounded by complete devastation from a nuclear holocaust and its aftermath, two women dedicate their lives to collecting and preserving the great books of Western culture. Alas, Babylon (1959), a novel by Pat Frank. With tensions between the United States and the Soviet Union at an all-time high, Frank published his novel about the survival tactics of a small Florida town after all the major cities in Florida are destroyed in a nuclear war. Gothic and Biblical Influences. Through the years, Shelley’s influences have been well documented by scholars. Without a doubt, the Gothic tradition of the late eighteenth and early nineteenth centuries played a role in Shelley’s creation of Frankenstein. Other sources of inspiration included the myth of Prometheus, the Bible, and the works of Johann Wolfgang von Goethe, along with discoveries regarding electricity, chemistry, and anatomy made during Shelley’s lifetime. Especially evident in Shelley’s work is her familiarity with John Milton’s biblical epic Paradise Lost (1667). Science Fiction. In the genre of science fiction, Frankenstein is viewed as an archetype, its premise commonly used by authors intent on illustrating how destructive the relentless pursuit of scientific knowledge can be. The foundation of Shelley’s story is simple and familiar: A scientist rejects accepted theories and turns instead to his own research, which leads to deadly consequences. However, in many ways Frankenstein is unlike much science fiction published since. In style and structure, it is much closer to its eighteenth-century predecessors: an epistolary novel told in increasingly tightening circles or frames and interspersed with poetry (including that of Shelley’s husband). It also differs from much science fiction in its use of Gothic conventions. While Shelley departed from many of the characteristics of the mode, with its haunted castles and threatened maidens, she nonetheless successfully conveys a Gothic atmosphere, which, in its sense of the strange and the irrational, stands in sharp contrast both to Enlightenment rationality and to the scientific objectivity of modern science fiction. The novel is about a driven doctor, Victor Frankenstein, and his desire to bypass God and create human life in the laboratory. Like a character in ancient Greek tragedy whose fatal flaw is hubris, or excessive pride, Frankenstein is punished for his arrogance by the very forces he has unleashed upon the world. The principal reason scholars have identified Frankenstein as an influential work of science fiction is the result of Victor Frankenstein’s reliance on natural or scientific means to create his man. Ultimately, nature becomes a mechanized force with the ability to create and destroy. Shelley’s Legacy. Few literary works have had such a profound impact on the genres of fantasy and horror, the development of science fiction, and the Western world’s conception of both. Inspiring plays, an opera, movie and television adaptations, numerous sequels, and countless imitators, Frankenstein has taken on a life of its own. In fact, Shelley’s novel often surprises those modern readers whose knowledge of the story is limited to movie versions that are not faithful to the story itself. Literary Value. With Frankenstein dominating critical discussions of her writing, Shelley’s other fictional works have received little attention. Critics generally agree that her five later novels are characterized by awkward plotting and verbosity; all the same, most of them have some element of literary value. For instance, scholars consider The Last Man, Shelley’s best-known work after Frankenstein, to be an early prototype of science fiction, with its description of the destruction of the human race in the twenty-first century. Thought by many to be autobiographical, the novels Lodore (1835) and Falkner (1837) have been studied for clues to the lives of the Shelleys and their circle of literary friends. In regard to Shelley’s nonfiction, critics admire the intelligent, insight ful essays she wrote for Chamber’s Cabinet Cyclopedia, as well as her enlightening notes on Percy Shelley’s poetry. Frankenstein. Having been adapted for a variety of media, the Frankenstein myth has become part of modern culture. However, when Frankenstein was first published, critics typically looked upon the novel as another addition to Gothic fiction, a genre unworthy of serious literary analysis. Early Victorian critics held the same viewpoint, though later scholars began to appreciate the psychological depth beneath the horror in Frankenstein. Critics have also focused on the prometheanism in the novel, an aspect that Shelley herself highlighted in the book’s subtitle. This line of inquiry, which continues to engage critics, likens Dr. Frankenstein to the Greek mythic figure who wreaks his own destruction through abuse of power. Since then, generations of critics have delved into the novel, discovering the complexities overlooked by early scholars. In describing Frankenstein’s efforts to bring his creature to life by scientific rather than supernatural means, Shelley fuses Gothic atmosphere with philosophical allegory. Critic Bonnie R. Neumann points out the fact that Frankenstein illustrates a common theological theme, the ‘‘initiation—or fall—from ... innocent, happy illusions ... into the reality of [life] with its knowledge of loneliness, pain, and death.’’ Farsighted and relevant, Frankenstein has presented to the world Victor Frankenstein, a scientist whose name has become synonymous with the reckless use of science and technology—and its potential for catastrophe. 1. As the monster in Frankenstein develops, he learns to speak and read and eventually comes to understand how he was created. Most film versions of Frankenstein depict the monster as mute or vocally incoherent. How do the monster's verbal skills and powers of persuasion in the novel evoke a different reaction toward his existence? Compare and contrast the monster from the novel to the monster in film versions in a paper. 2. In a critical essay, analyze the importance of narrative shifts in Frankenstein. Explain the differences in foreshadowing in the narratives of Victor, the monster, and Walton. How does the novel’s shift in narrative perspective add to or detract from the overall message of the novel? 3. Although written by the daughter of a famous feminist, Frankenstein is noticeably lacking in strong female characters. As you read the novel, take notes about the following female characters: Justine, Elizabeth, and Caroline Beaufort. Discuss the role of women in Frankenstein. Do Victor and the monster have differing views of women? Why do you think Shelley chose to create weak female characters? Create a presentation of your findings. 4. From her mother’s legacy to her scandalous elopement with a married man to her famous husband’s death, Shelley’s personal life has often overshadowed her literary work. Research what the critics say about Shelley’s personal life and write a related essay. Why do you believe critics and general readers alike are so attracted to details unrelated to actual textual analysis? Bloom, Harold, ed. Mary Shelley: Modern Critical Views. New York: Chelsea House, 1985. Gerson, Noel B. Daughter of Earth and Water: A Biography of Mary Wollstonecraft Shelley. New York: Morrow, 1973. Harris, Janet. The Woman Who Created Frankenstein: A Portrait of Mary Shelley. New York: Harper, 1979. Levine, George, and U. C. Knoepflmacher, eds. The Endurance of Frankenstein. Berkeley: University of California Press, 1979. Miller, Calvin Craig. Spirit Like a Storm: The Story of Mary Shelley. Greensboro, N.C.: Morgan Reynolds, 1996. Neumann, Bonnie R. The Lonely Muse: A Critical Biography ofMary Wollstonecraft Shelley. New York: Edwin Mellen, 1979. Smith, Johanna M. Mary Shelley. Boston: Twayne, 1996. Sunstein, Emily W. Mary Shelley: Romance and Reality. London: Little, Brown, 1989.